Although it will have an awfully long way to go to match the entertainment served up by Henrik Stenson and Phil Mickelson at Royal Troon, this week sees the arrival of the fourth and final major championship of 2016. The PGA Championship is often referred to as “Glory’s Last Shot” and this year it is being staged at one of the game’s most storied courses; Baltusrol Golf Club. The first 3 majors of 2016 produced 3 first time winners of golf’s biggest events…will that trend continue once all is said and done come Sunday evening? To try and get a better idea, let’s have a closer look at this week’s tournament…. The PGA Championship is administered by the Professional Golfers Association of America and was first staged in 1916. That year’s champion, Jim Barnes, took home just $500 which pales in insignificance to the $1.8 million pocketed by Jason Day at last year’s championships. Initially a matchplay event, the PGA Championship is the fourth and final major on the golfing calendar and is known by many as “Glory’s Last Shot”. Unlike The Masters at Augusta, the PGA Championship rotates between courses, historically being held at some of America’s greatest layouts including the likes of Oakmont, Pebble Beach, Kiawah Island and of course, last year’s host Whistling Straits. Historically, winners of the PGA Championship have understandably hailed from the USA, but in recent years, the list of champions has been enhanced by a new international flavour, with 7 international players having claimed the Wannamaker Trophy since 2004, including of course last year’s winner Jason Day. When it comes to back stories on how golf courses came to be, it’s hard to top that of Baltusrol. The land on which the course now sits was once farmed by a man named Baltus Roll who sadly met an untimely and rather grizzly end when he was murdered in 1831 in an attempted robbery in his house. The land on which the course now sits found its way into the hands of Louis Keller who in 1895 opened Baltusrol Golf Club. Needless to say, the course was named after Roll. Since 1895, there have been plenty of changes at Baltusrol from a design standpoint, with Keller’s original course having made way for the construction of the two courses, the Upper and Lower, which currently reside at the club. Both were laid out by A. W. Tillinghast in the Roaring Twenties, with the Lower having gone through further facelifts, this time carried out by Robert Trent Jones in 1952 and by his son Rees some years later. The Lower course, the host for this year’s PGA Championship, is flatter than Upper course at Baltusrol and main challenges faced by the likes of McIlroy, Johnson and Day come in the form of deep bunkers (there are over 120 on the course), thick rough and slippery greens which are notoriously difficult to read. Already tried and tested, the Lower course has played host to no less than 4 US Opens, along with US Amateur Championships, a Women’s US Open and another PGA Championship. As you’d expect of any major championship, the field at the PGA Championship will be one of the strongest ever assembled. Henrik Stenson, the man who so brilliantly tamed Royal Troon just a few days ago, joins the other usual suspects at the top end of the World Golf Rankings, as well as Phil Mickelson of course, who will still be smarting from shooting -17 and still losing the Claret Jug by 3 shots. World Number 1 Jason Day is in fine fettle having finished T14 at the Canadian Open, and he’ll be joined by the likes of Spieth, McIlroy and Dustin Johnson, the form player in world golf at present who many will see as the favourite for the title. In fact, just three of the Top 100 ranked golfers in the world are missing from this week’s field, which is completed by last week’s winner Jonatthan Vegas, as well as the top 20 finishers from June’s PGA Professional National Championship. Jack Nicklaus won two US Opens at Baltusrol. In 1967 he bested Arnold Palmer by 4 shots and set a new US Open scoring record in the process, only to return to Baltusrol for the 1980 US Open and rewrite the history book yet again, breaking his own record for low score at a US Open. Last year when the event was played at the stunning Whistling Straits, Jason Day finally popped his major cherry, winning in record breaking fashion by becoming the first man to reach -20 at one of golf’s marquee events. Day had long been knocking on the door at major championships so his win was certainly no surprise, but surpassing the -19 mark set by Tiger Woods at the 2000 Open Championship at St Andrews was an unexpected bonus. Jordan Spieth of course finished just three shots behind Day, falling just short of becoming only the 3rd man in the modern era to win three majors in a calendar year. There’s a lot of talk about the modern day “Big 3” of Rory, Jason Day and Spieth but none of them have achieved the level of consistency Dustin Johnson has this year. DJ of course bagged his first major championship at Oakmont a few weeks ago and by all accounts, Baltusrol sets up very much in the shape of a US Open type course. 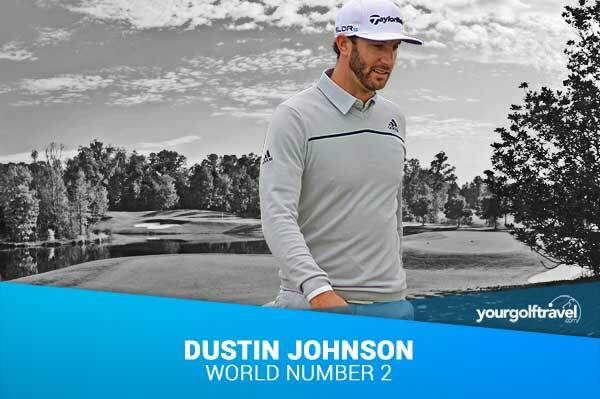 Dustin’s fine form has also led to a win at the WGC Bridgestone Invitational, a strong showing at Royal Troon and a T2 finish in his last start, the Canadian Open. All in all DJ has bagged 12 Top 10 finishes on tour this season and most impressively, he’s finished outside the Top 14 just once in the last 5 months! He might not have topped the world golf rankings just yet, but there isn’t a player on earth currently playing better than the big hitting American. I don’t see any reason for that to change this week. I feel like a traitor having said I’d back DJ all year, especially after he has finally found his way to the finishing line, but I’m changing my allegiance to Rory. 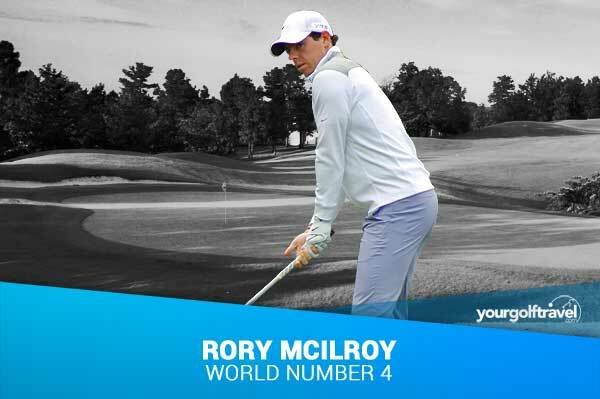 Having won the PGA twice already and with a few signs that he is ironing out some of those loose shots that were leading to one bad round in four; I think Rory will conquer all this week. DJ will be in the mix but I think Rory may cruise to a 3 or 4 shot victory if his putter gets even half hot. It is very well known in the YGT office that I like to go for an outsider, and my pick for The PGA Championship is no different. 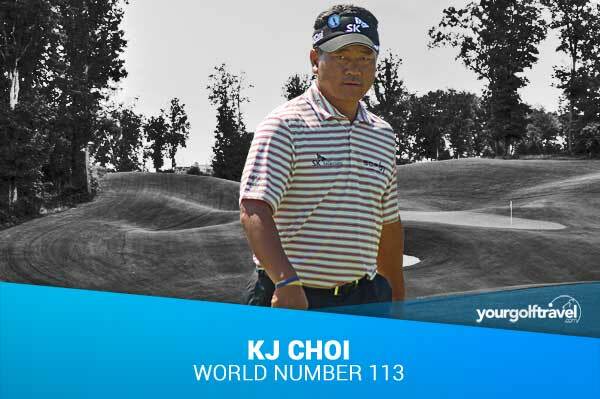 This week I’m going for K. J Choi as I’ve been a big fan of K J for years, and he’s posted several strong performances in majors over the years…but is yet to be victorious. He has over 20 tournament wins to his name though, including 8 on The PGA Tour so he definitely has the ability. So far in 2016, his best finish has come at The Farmers Insurance Open at Torrey Pines in January where he came outright 2nd and he’s had another T5 finish at The Northern Trust Open. Now I’m not saying he is going win outright, but I’m going to stick with my man K.J as my outside bet and you never know, you may see his name in the top 5 come Sunday evening…. 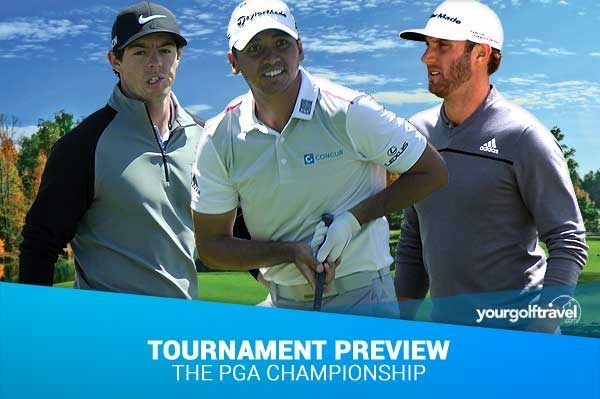 What makes this year’s PGA Championship a bit different is the fact that it is happening so soon after The Open. The divots have barely settled following Stenson’s epic performance at Troon just over a week ago and whilst I don’t normally like to pick players for back to back podium finishes, I also haven’t had the best record with my preview picks this year either! I am therefore going for Phil Mickelson for the win. His recent performance at The Open is obviously a good sign, as is the fact that he won this event the last time it was hosted at Baltusrol in 2005. 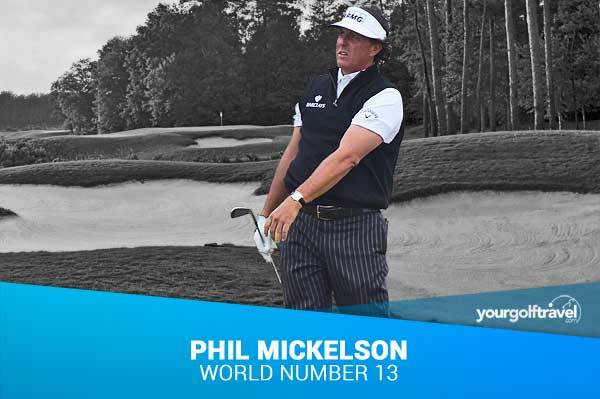 That year it was not the huge hitters who took over the top part of the leaderboard, it was those, like Phil, who went for accuracy off the tee instead. Further investigation also shows ‘Lefty’ is somewhat of a specialist at Tillinghast designed courses, which includes Baltusrol of course. He hasn’t won for 3 years, but anyone who saw his performance on Sunday at Troon would be hard pushed to argue that he won’t win again. I personally think that a former major winner with form of this course, coming off a stunning performance at The Open is well worth a shout at 22/1. Dustin Johnson heads into the US PGA Championship at the top of his game following a tied second finish at the Canadian Open last week. This finish follows on from back-to-back wins at the US Open and the WGC-Bridgestone Invitational at Firestone Country Club, Ohio and more recently a top-10 finish in the Open Championship at Royal Troon, Scotland. With such consistent form it’s difficult to see him not contending this week so I’m going to go for the big man! Rory is a pretty obvious choice so the odds will be low but I think Rory is poised to win again soon right now. His game is in the right place after a strong finish to The Open 2 weeks ago and with his history at the PGA Championship he will be a contender, with that ability to instantly string 5 or 6 birdies together on tough courses. The main man this week for me! Phil was simply sensational at Troon and didn’t put a foot wrong in claiming 2nd place to a record breaking Henrik Stenson. Whilst few golfers carry their form through into back-to-back Majors (except Spieth), I think Mickelson’s performance at Troon will inspire him to a good finish at Baltusrol, the venue of his 2005 victory in The PGA Championship. Don’t expect the same scoring seen at Troon this week at Baltusrol so Mickelson’s scrambling and ability to continually make birdies (he’s ranked 7th for birdie average and 2nd for scoring average), will see him make a decent challenge for a 6th Major Championship this week.